Astro Manufacturing & Design provides 5-axis CNC milling and machining services that allow for reduced set-up time and achieve extremely tight tolerances. We provide tight tolerance 5-axis contour machining and milling services to manufacture the most intricate parts with high repeatability. Astro’s engineers and machinists are among the best in the business. Regardless of complexity, we manufacture small and large volume components to exacting standards, providing our customers with the most cost effective, high quality parts. The goal when switching from 3-axis to 5-axis is to reduce handling, tooling changes and cycle time. It is all about a single set-up, or Done-in-One. Because there is less handling in 5-axis machining the chance of error is minimized, providing more consistent quality parts. Five axis is often thought to be overkill for many shops that depend on 3-axis machines. Yet, there are many operations where 5-axis is found to be more efficient for jobs where 3-axis is the norm. Astro provides highly efficient 5-axis milling and machining to increase accuracy and labor savings from reduced handling, which can far outweigh the cost differential and provide a significant ROI. 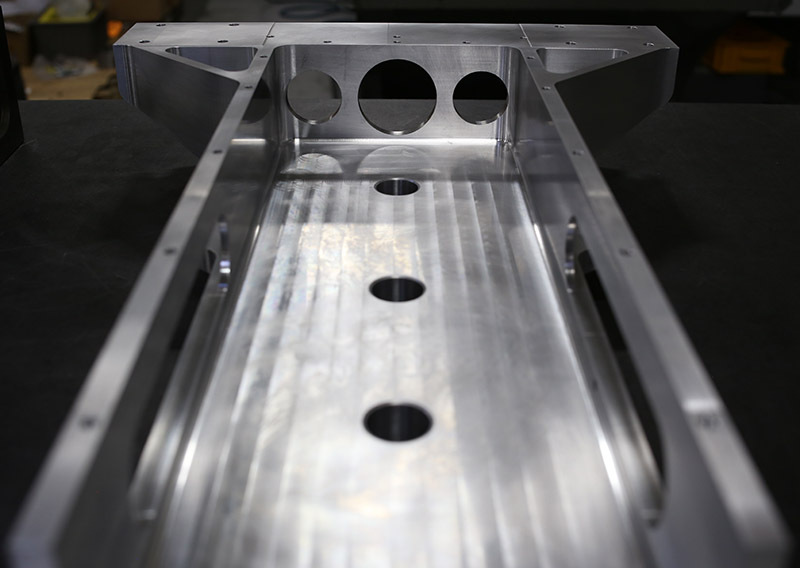 Contact us today to learn more about Astro Manufacturing & Design’s 5-axis CNC milling & machining services.